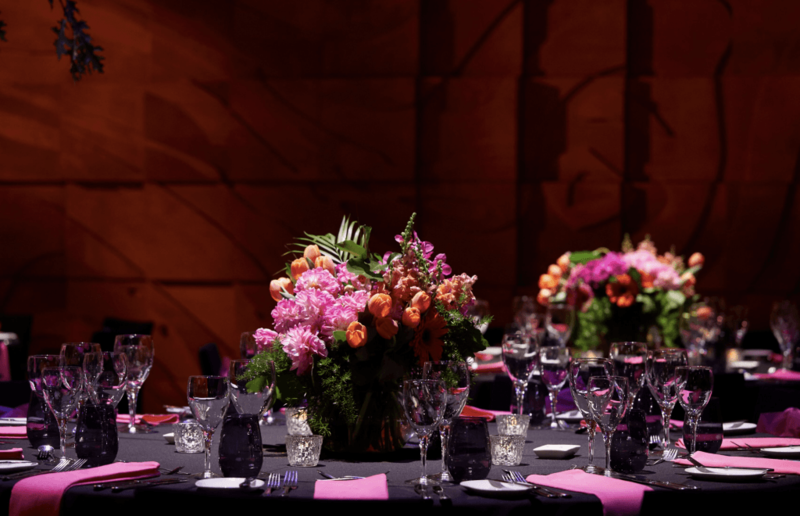 We were thrilled to be invited to style beautiful blooms at the Melbourne Recital Centre’s 10th Anniversary Gala dinner and concert this year. To celebrate the Centre’s 10th Anniversary they welcomed three generations of artists to join them on stage in a unique musical event. Musical marvels ranged from an extraordinary ninety-six year old pianist to an astonishing ten year old violinist who shared the Elisabeth Murdoch stage to celebrate the joy of music making. 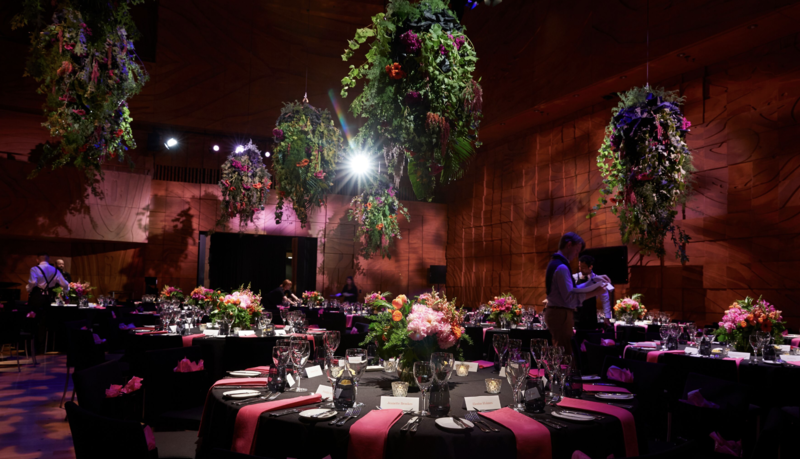 To accompany the amazing musicians, we created a stunning garland of textural Australian native blooms and luscious locally grown foliage which extended the full length of the concert stage. 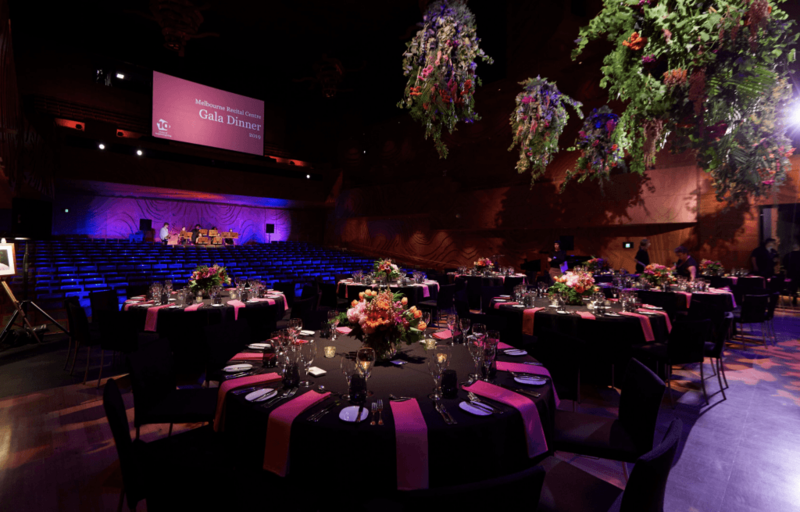 For the gala dinner we selected blooms in a colour palette of hot pink and vibrant orange to mirror the event stationery. Botanicals were suspended from the ceiling space in wild clusters of fern, palm and ivy foliage with hints of trailing amaranthus and bright flowers throughout. 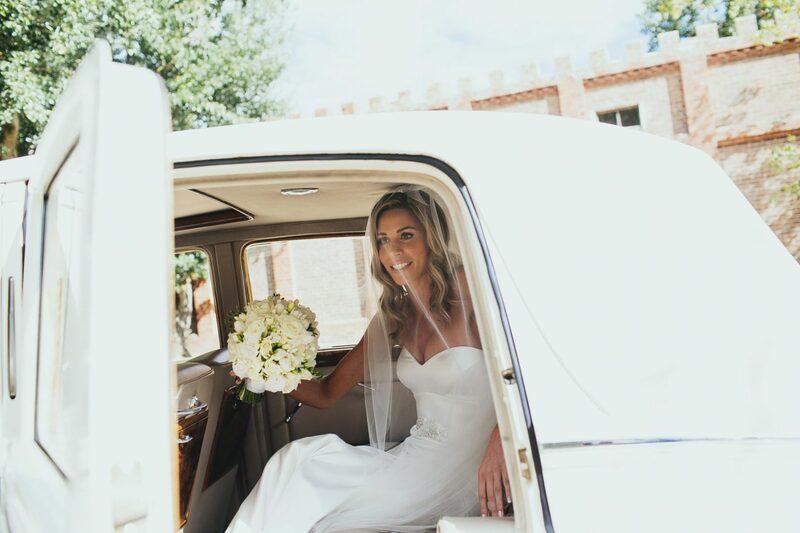 The exciting colour palette was mirrored on the tables in the form of beautiful low floral arrangements of tulips, dahlias and snapdragons combined with unstructured foliage. What a very special milestone event for the Melbourne Recital Centre and one we were very proud to be part of!